With this collection, renowned Chinese pianist Lang Lang goes back to his first love — to the pieces that made him want to become a musician in the first place. Rediscovering the most popular and accessible pieces written for learners and lovers of the piano, this album is a journey; of inspiration, of discovery, fantasy and learning. 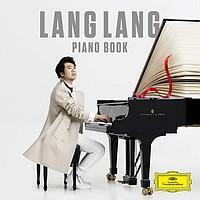 It is a moment for Lang Lang to illuminate these classic pieces as the masterworks they truly are. It is also a reflection on the music that influenced him most during his early childhood. 2. Beethoven - "Fur Elise"
1-13. Mozart - 12 Piano Variations On "Ah, Vous Dirai-Je, Maman"